At Verwood MOT we carry out all levels of servicing to most makes of cars at very competitive prices. We offer courtesy cars when having your car serviced. Timing Belts (Cam Belts) are a critical component in your car’s engine and need changing at certain mileage intervals or after a certain period of time. 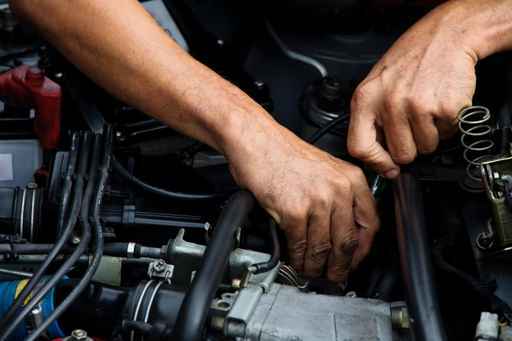 If you are unsure how often the timing belt on your car should be changed feel free to ring us, and we will advise you when it is due to be changed and if required- a quote to carry out the job. Timing belt failure can be a very costly problem to repair. It is always better to change it a few miles early than even one mile late. Battery flat? We can supply a range of batteries right up to a top quality Bosch Silver battery that comes with a nationwide 4 year warranty. Shock absorbers are a component that most people pay very little attention to. Their efficiency can decrease without the driver actually noticing and can cause extra wear to tyres, wheel bearings and steering components. We are always happy to offer a free of charge check to your cars suspension and shock absorbers.